Not only is the Chelsea Cafe just across the road from one of our favourite bike shops, but it also does an excellent breakfast. First things first though… it’s not a cheap greasy spoon, where you might wolf some carbs and caffeine. Bear in mind that it is in a trendy part of Bath Spa. However, if you’re feeling like a treat after a long ride out and want somewhere for an extended break to rest your legs, then this is a great choice. 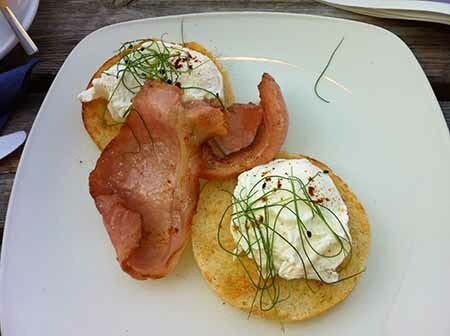 I’m not sure that I’ve ever had poached eggs garnished with fennel outside of a hotel, but it was very nice.